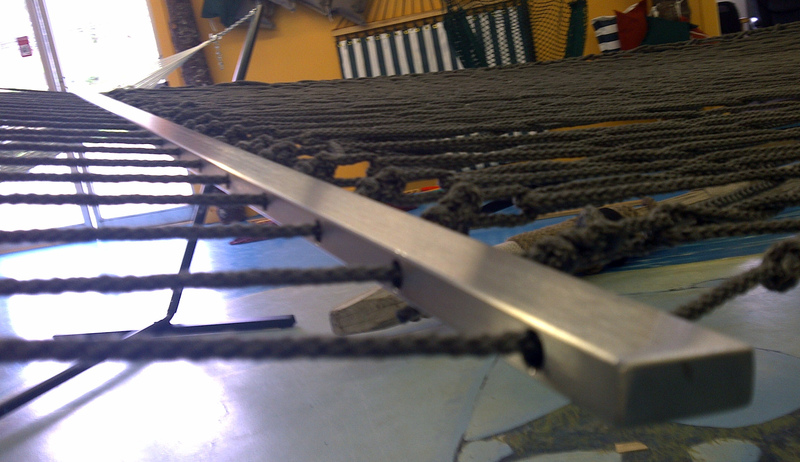 « Could You Make Your Own Hammock?? 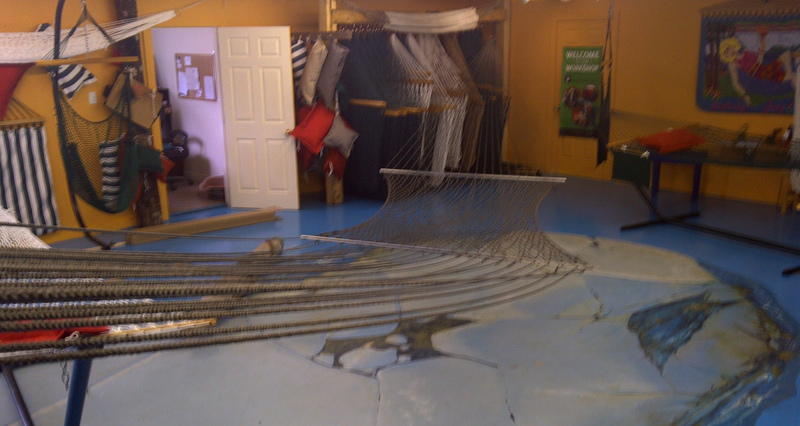 Today we are shipping a custom hammock to a sculptor in New York. It is to hang 20 feet above the ground on a sculpture she has been commissioned to create and install in London, England. 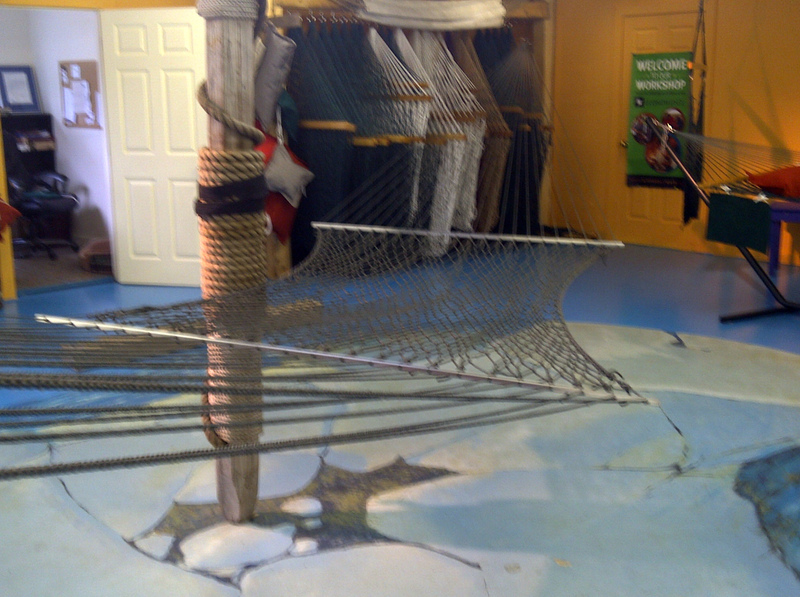 The hammock is 40 feet long in total. 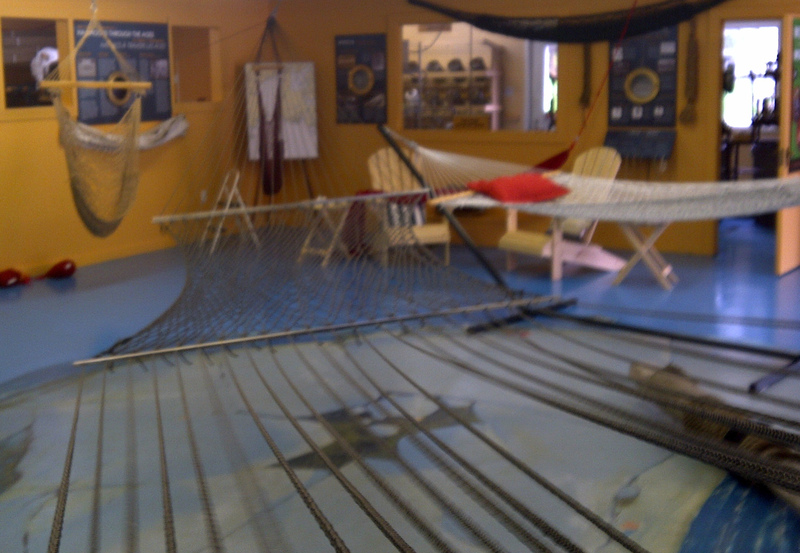 Here you see it hanging diagonally across a 40 ft x 40 ft space in Bay Hammocks shop in Seabright, Nova Scotia. 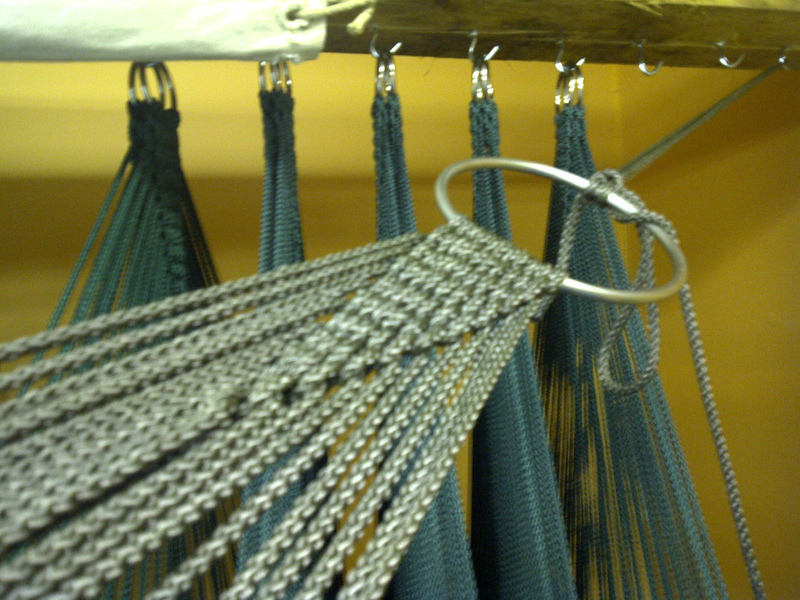 The 5” O ring and the spreader bars are both made of brushed stainless steel (supplied by the artist) and we made the rope from special order steel grey nylon fibre. It should last a very long time.